The inclusion of the laid-back pier sets this image apart from some of the other ordinary bird entries. 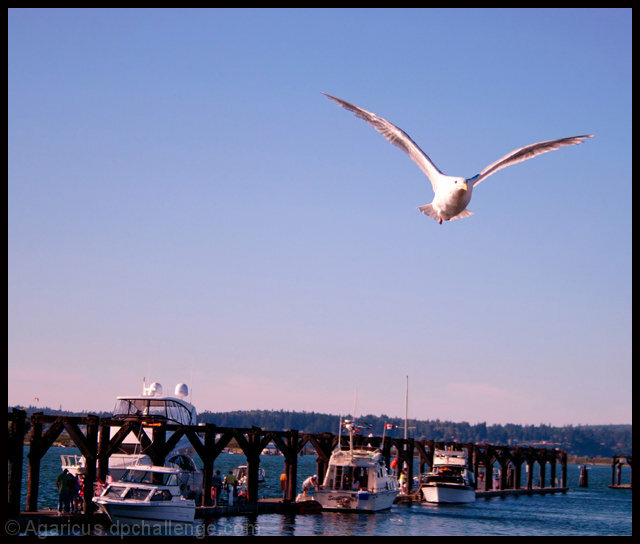 i don't know why, but this shot just looks weird to me, almost like you pasted the gull in (but i know you didn't). maybe if it was a bit sharper, it would be easier for me to enjoy. This has some nice contrast to it. The white on the seagull may be a little hot, but not bad. I like this, having the boats in the background, adds some context to this image - many times all you see is the seagull and nothing else in many images. Looking kind of hazy in the background - have you tried using a UV filter? Would help with that. Good luck in the challenge. Nice shot, but the tilted horizion is a bit disorienting. also very glad to see a deep DOF is used here, as the photo wouldn't have been as nice and interesting if the boats are not focused. nice work! The crooked horizon's a little distracting here. Otherwise, it's a nice shot. Proudly hosted by Sargasso Networks. Current Server Time: 04/23/2019 09:55:00 AM EDT.